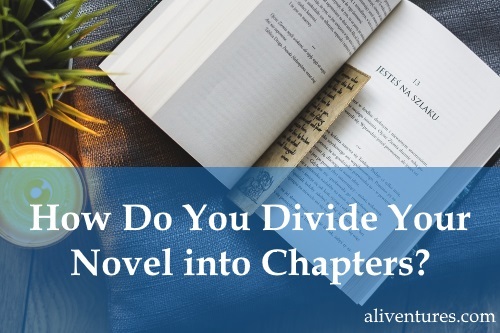 How Do You Divide Your Novel into Chapters? This post was inspired by an email conversation with Emma from the brilliant blog Science at Your Doorstep. Pick up the nearest book. Whether it’s fiction or non-fiction, it’s almost certainly split into chapters. As readers, we take that for granted. Chapters give us an easy way to discuss where we’ve got to in a new book (“I’m on Chapter 10 now…”) – and provide handy stopping points in the text where we can put the book down. As writers, though, chapters can be surprisingly tricky. How many should you have? How long should they be? Do you even need chapters at all? Chapters, Parts, or … Nothing? A single volume divided into chapters (probably around 10 – 40, depending on the length and genre). A single volume divided into parts and chapters (normally 2 – 5 parts, though Embassytown, which I read recently, had 8). A single volume with no chapters or any other divisions at all. Serialised chapters, parts or even “books”, published sequentially. Option #1 is standard, ordinary, and familiar to all readers. Whatever genre you’re writing in, dividing your work into chapters is highly unlikely to be surprising or controversial. Option #2 is fairly ordinary, though more common in certain genres (literary, historical, some types of speculative fiction). Option #3 is unusual and tends to be a self-consciously literary option. That doesn’t mean there’s anything wrong with it, but it’s not likely to be a great approach if you’re writing in a commercial genre where readers expect chapters. Option #4 was common in the early life of the novel (Dickens was serialised, mainly in stand-alone monthly parts; my favourite 18th century novel, Samuel Richardson’s Clarissa, is absolutely massive and was originally published in seven volumes between 1747-48 at different times). But today, with, digital publishing, we’re seeing a resurgence in this type of serialised novel-length work: some ebooks are published as short “episodes” that are then collated into “box sets”, and fanfiction – on major archives, at least – tends to be published in “chapters”. 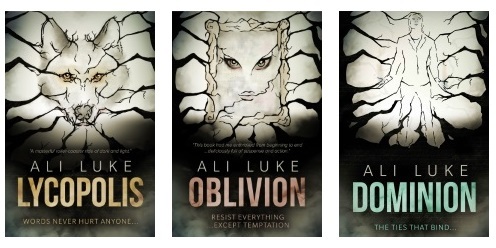 If you’re unsure what you should go for, I’d suggest looking at books in your genre. (If you’re writing cross-genre or something that isn’t easily pigeon-holed, find books that are at least vaguely similar.) See what they do. Do Your Chapters Need to Be the Same Length? I’m going to tackle this before we look at the question of where to end your chapters, because it tends to worry authors unnecessarily. Your chapters do not need to all be the same length. You can have one chapter of 2,000 words and another of 5,000 words. There’s no rule against it, and readers will probably barely notice. 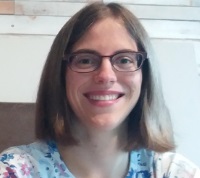 What I would suggest is having a roughly “standard” chapter length in mind (mine tend to be around 1,500 – 2,000 words); if a chapter is significantly shorter or longer than standard, you might want to double-check that the pacing doesn’t feel off. You’ll normally want to avoid a dramatic and sudden variation in chapter lengths (e.g. 500 words followed by 6,000 words). Generally, though, writers worry far more about consistent chapter lengths than readers ever will! What matters is that you tell your story at the right pace and in the right way. I’ve never, in years of reading books, discussing books and reading reviews, seen a reader complain that one chapter was only 5 pages and the next was 10. Where Should You End a Chapter? As K.M. Weiland points out, a scene is a crucial structural unit – but a chapter can end (pretty much) wherever you want. Some writers will say you should always end chapters on a cliffhanger: I think this can feel a bit artificial, though it’s standard in certain genres (thrillers, crime, adventure, etc). If you go with this approach, remember that quite small things can still “hook” readers into the next chapter; characters don’t need to be in life-or-death peril! Other authors (me included) like to end chapters when they switch points of view. That doesn’t rule out ending on a cliffhanger, of course – but it does tend to mean that chapter breaks come at natural pausing points or changing points within the text. If there’s a large gap of time in your novel, then it often makes sense to have a chapter break to “jump” the missing time.g. chapter 10 might end on October 31st and Chapter 11 begins on January 1st. If a chapter feels like it’s dragging on and on, then your problem might be with the narrative itself rather than your division of it. Maybe you’re giving too much detail (and it would be better just to end the chapter at a high point and leave the rest to our imagination), or maybe something needs tweaking slightly in the plot. When I’m drafting, I tend to simply end chapters wherever it feels natural to do so. In the redraft, I often end up trimming and combining chapters (particularly early in the novel) that didn’t quite work – the important thing during the draft is just to keep moving forward. How Should You Name Chapters? Some books start each chapter with “Chapter 1”, “Chapter 2”, etc. Others have “1”, “2”, etc. Others have a symbol or a character’s name, if the novel alternates between two different points of view. Some (particularly children’s books and humourous fantasy) have titles for each chapter – e.g. the first chapter of Harry Potter is titled “The Boy Who Lived”. Whatever option you go for, be consistent. You might have an occasional chapter that’s named differently (“Prologue” and “Epilogue” are the obvious ones; I’ve also seen – and used – “Interlude” in the middle of a novel). Also, try to avoid missing off a chapter number altogether, or repeating a number, or skipping a number. This tends to happen to me when I’m shifting material around a lot as I redraft – thankfully my editor is great at picking up on it. Do you put your chapter breaks in without even thinking about it – or are chapters causing you a lot of headaches? Share your experiences in the comments below. Without chapters, it would be hard to structure a novel. Sometimes we need to give readers space to catch their breath. I am a fan of ending chapters in a cliffhanger, even if just a small revelation or question. Also, when plotting a novel, having chapters in mind makes it easier to visualize the storyline. I do struggle with finding the right lenght. I guess it is a matter of personal preference. I seem to prefer shorter chapters to longer ones myself. Is there a rule against naming chapters? Modern writers hardly ever do it unless, as you say, they switch points of view characters back and forth. You should write a follow up about book parts. One of the best novels I’d read last year, Mur Lafferty’s Six Wakes, divides the novel into six parts, one for each ‘wake’ and it works without feeling gimmicky. Thanks Ingmar! I like shorter chapters too, probably because I write quite fast-paced novels (I don’t mind long chapters when I’m reading). I don’t think there’s any rule against naming chapters, but it does tend to be something associated with children’s books. I suppose it also adds an extra layer of hassle for the writer (I have enough trouble coming up with a title for a whole book, let alone one for each chapter). I’ll have to check out Six Wakes — I used to listen to Mur’s “I Should Be Writing” podcast way back (more than a decade ago!) and always found her very informative and entertaining. I always try to leave them wanting to find out what happens next. Not necessarily a traditional cliffhanger every time, but just something they need to find out next. Great article! Keep up the good work. Thanks Cary! That sounds like a good approach.